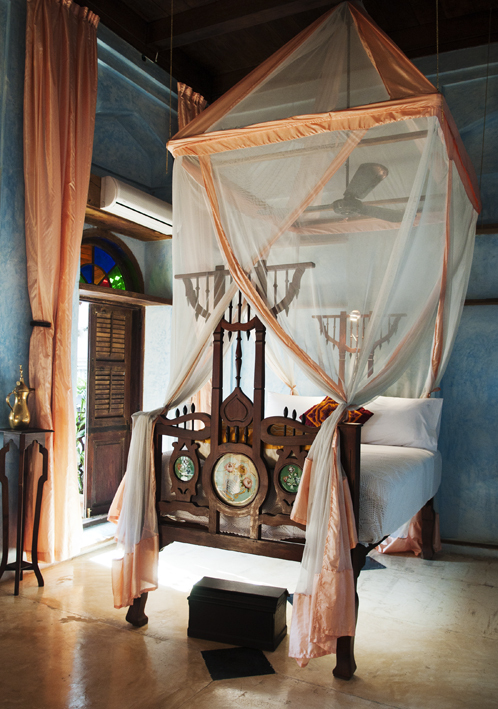 This heavenly bed can be found in the historic centre of Stonetown. 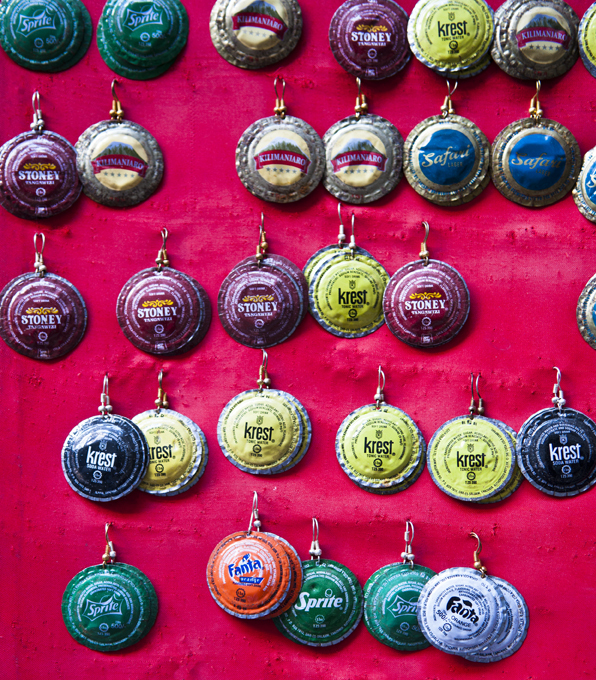 It sits in one of the five rooms of the recently opened Emerson Spice Hotel. It is run by a charming Swedish lady called Len and her partner from New York, Mr Emerson. stained glass window to die for! Here I am indulging in the gorgeous surroundings, and what’s more, right on the hotel’s doorstep the rest of Zanzibar awaits. I was caught off guard, thinking that Zanzibar is ‘just’ a tropical beach paradise. 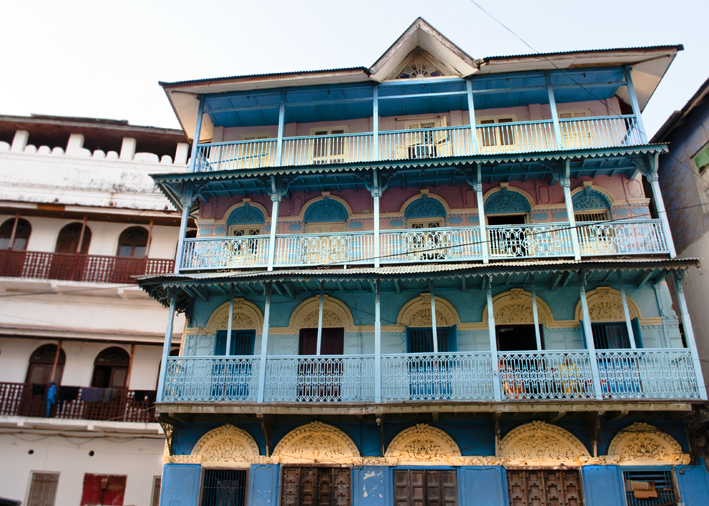 It turns out the part of Zanzibar town called Stonetown is full of character and shopping. And how about some hand made earrings? Can you see what they are made of? 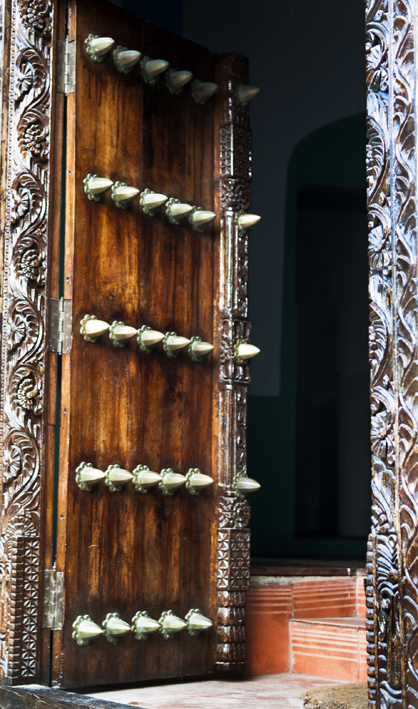 And of course, when in Zanzibar, don’t forget to look out for those spectacular studded doors made to prevent wild animals from barging in!